Discover how to become free from being ruled by depression, anger, worry, doubt, confusion, condemnation, or fear! 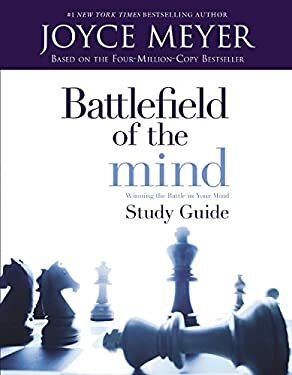 Joyce Meyer releases a companion study guide to her bestselling book, Battlefield of the Mind, that will help build your knowledge of the Word while teaching you vital principles from the book. Each of the thought-provoking questions will help you search for truths from God's Word that you can apply to your life to bring the freedom you need. You'll find this book to be a great guide for Bible study groups, devotional time and Sunday school classes. The workbook-styled format provides space for you to fill in your answers to each question, and with the special answer section in the back, you can check your work. Download the free Joyce Meyer author app.